IPPF’s Director General Tewodros Melesse took part in a high level event in London today which focused on the importance of family planning, maternal and newborn health. The event, led by the International Development Secretary Justine Greening and Melinda Gates, was hosted by the Department for International Development, the Bill & Melinda Gates Foundation and Save the Children. This event built on the London Summit on Family Planning co-hosted by the Prime Minister and Melinda Gates in 2012 and comes ahead of the UK Government’s international Girl Summit 2014 in July focusing on eliminating female genital mutilation (FGM) and child and early forced marriage (CEFM) in a generation. “There are more than 220 million women in the developing world who cannot access modern contraception and all the evidence suggests that when women are allowed to decide if, when and how many children to have they reap an economic benefit which ripples out across their community and their country,” said IPPF Director General Tewodros Melesse. “IPPF is delivering on its FP2020 commitments – at the international level, as a convenor of civil society and at the grassroots where our member associations have grown out of the communities they serve. Our services are increasing significantly and we have achieved real momentum in mobilizing political will – as I pledged we would at the London Summit in 2012. 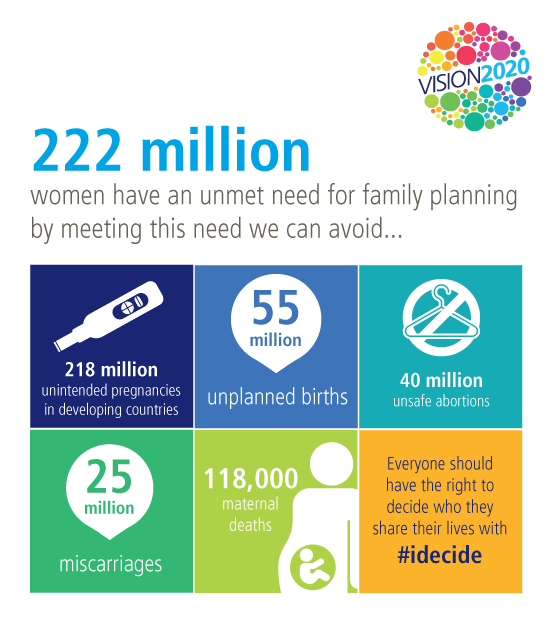 Justine Greening said: “Without access to adequate family planning women lose their right to have choice and control over their reproductive plans, risking their life and that of their baby. Melinda Gates said: “The 2012 London Summit on Family Planning was pivotal in putting women and girls at the heart of the global health agenda. Increasing access to voluntary family planning is critical to improving the health of women, newborns and children.